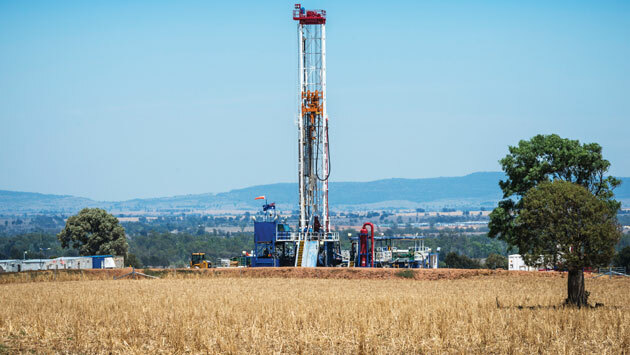 A new study carried out by the NSW Environmental Defender’s Office, has concluded that 15m tonnes of salt waste from coal seam gas operations to be dumped near a creek at the headwaters of the Murray-Darling Basin carries a considerable risk of water contamination. Plans approved last year by the Queensland government and the Western Downs regional council to expand a dump near Chinchilla allow CSG salt waste to be stored less than 100 metres from Stockyard Creek, in the headwaters of the Murray-Darling Basin. Local community groups, environmentalists and graziers are now pushing for the federal government to re-assess the project, under the Environment Protection and Biodiversity Conservation Act. The likelihood of the contamination of surface and ground water is considerable, and in long-term aspects, it will likely severely affect future generations. Salt is not biodegradable and has an infinite environmental residence time. So, placing a salt dump near a creek that leads into the largest and most complex river system in Australia will need a management plan that runs for centuries. The company that runs the salt dump, We Kando, has not yet sought an assessment under the Environment Protection and Biodiversity Conservation Act. About 20 kilometres from the dump the failed Linc Energy underground coal gasification plant, which is the site of Queensland’s worst environmental disaster. Earlier this year Linc Energy was hit with record criminal fines for contaminating nearby farmland.